At seventeen, Ava Hall is already orphaned and working at the Triangle Shirtwaist Factory when her life is turned upside down by the horrific fire that kills her best friend and leaves her questioning her sanity. After a summer locked away in a mental institution, Ava is sent to Blythewood, the boarding school where Ava's mother spent the happiest years of her life. But Blythewood is no ordinary finishing school for young ladies: it's a training ground for magical warriors who form the mortal world's only line of defense against the evil world of Faerie. As Ava develops her own powers, she seeks to solve the many mysteries in her life: Who was the handsome young man who helped save her from the fire-- and why does she remember him having wings? Why did her mother commit suicide? 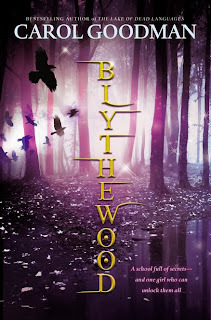 Who is the sinister stranger who's been following her from the city, and what's his connection with the deaths and disappearances that are plaguing Blythewood? When evil broadens its scope beyond the Blythewood campus to impact world events, Ava must decide whom to align herself with, and figure out how to stop the dark forces, even if that means going against everything she’s been taught. Set in New York's Hudson Valley in the early 1900s, the gothic Blythewood Trilogy vividly portrays a world-- both real and imagined--on the brink of change, and one girl's quest for the truth about her world, her school, and herself. In Blythewood, Ava is a girl without a home. The book begins right after her mother has died, and the first third of it has her constantly displaced and moved around until she settles in at the school. The only problem is that she feels like she doesn’t belong there either. It’s not the magic that makes her uncomfortable, because all of the girls are adjusting to that together, but what’s hard for Ava is how different her background is. It’s hard for her to adjust to the values of this super-elite and moneyed society, especially when she doesn’t always morally agree with them. What makes Ava really special when compared to other YA female protagonists is how sensitive she is. I think there are a lot of really awesome action-hero girls who are coming up in YA — especially in the realm of sci-fi/fantasy YA — and while I love to read about those girls, I could never write them well. Ava loves to drink hot chocolate with her friends and curl up in her castle, and when the time comes to fight, she can, but it’s a very different type of fighting. She isn’t brutal, and prefers to think her way out of problems than go hand-to-hand. 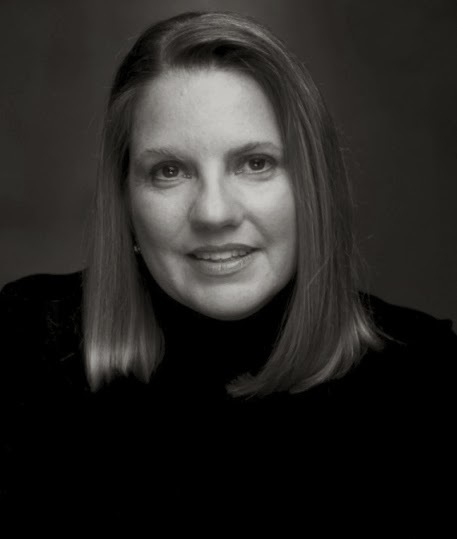 Bestselling author Carol Goodman’s books have been nominated for the IMPAC award twice, the Simon & Schuster/Mary Higgins Clark award, and the Nero Wolfe Award. Her second novel, The Seduction of Water, won the Hammett Prize in 2003.